- Stuart, first of all tell please how did you create your community media? Was it for grant money? And you wrote in your website that a lot of young people work at your community media. So, how many? I had retired to Moray from Edinburgh after being employed by Hibernian Football Club until 2010. However, on arrival in Moray I was offered and accepted a community editor role with Scottish Television (our national commercial TV station) to run four separate community websites on their behalf in Moray – covering the main towns of Buckie, Forres, Elgin and Lossiemouth. 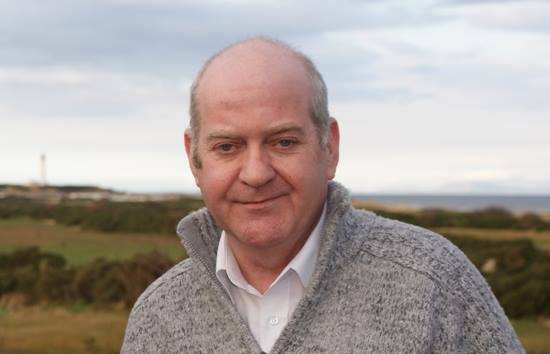 After around two years I left STV to run for political office – after around a year I decided to return to journalism but STV had withdrawn the community sites after I had left. I decided then to create insideMoray as a single community news site covering the entire region. There has never been any grant funding, and all production on the site has been a sole production on a voluntary basis, taking advertising or individual business sponsorship to cover the costs of the site. The mention of young people working on the site is an ongoing ambition, and several have taken up the offer to write for the site but none on a regular basis. It is a hobby I guess – I’m retired now, having had a career in the Royal Air Force and the Civil Service for which I receive a pension. However, it is pretty much a full-time hobby! - Your community media exist since 2006. What are the main goal of its existence and did you achieve what you want in 9 years? Do you have a lot of competitors? Actually, I’ve been a journalist since 2006 – but insideMoray has only existing as a community news site for just over two years. Prior to that the STV community websites I ran were professionally produced as part of a project by our national television broadcaster. No investors, it is very much a one-man one-owner operation at present. It exists through my own efforts and contacts in the community, and has been built through using by and large my own resources – although, as noted above, I take on ‘site sponsors’ for a small monthly fee that has been successful in helping pay some expenses! Not quite sure I understand the question but if you mean cash output, probably around £200 each month covers the running operations of the website. I do not pay anyone for submitting articles, nor do I pay for photographic/video services – these are from my own library, sourced from freely available resources or submitted along with press releases. - How many news you produce per week? And how many people read your media every day? The target is a minimum of 5 stories each day and maximum of 7. Normally, it is six or seven news/features stories on weekdays, four on a Saturday and two or three on a Sunday. My aim is to ensure all stories are online by 6am each weekday morning, 7am on Saturday morning and 8am on Sunday morning, all are fed also through our Facebook page (12,200 followers) and Twitter feed. We have a daily readership of around 3000 unique visitors consuming 35,630 pages each day (figures for June 2015 – it has been rising each month since we started). Constantly J The aim is for insideMoray to be absolutely independent of any political influences – as such we manage to upset all political groups in equal measures! The aim is to be factual in our news reporting without any ‘spin’ – we also give editorial space to local groups or organisation who would be ‘missed’ as not important enough by the mainstream media agencies. Our local Council (the first tier of government in Scotland) regard the site with suspicion – but, I think, grudging respect. I was threatened with being reported to the Press Association after one article on bullying in our local council – I pointed out that as insideMoray is not a newspaper we were not subject to the terms or conditions ruled by the Press Association! I was also threatened by a local newspaper’s online editor over using some quotes that they had already published – point here is, as an individual I’m happy to co-exist and work with all local agencies, but at 62-years-old and not dependent on the site for an income, I frankly don’t care if I ruffle a few feathers along the way, the site exists to give a real voice to the community without having to take account of financial constraints or restrictions. Site is constantly expanding and I’m constantly looking for new ‘streams’ for us to go down – one day I would like to see the site being operated by a group of people rather than one, but experience shows me that the more people you bring on board the less effective you can become as strong decision-making can become fractured. Written word but I’m comfortable with all aspects as I’ve worked in and produced content for Radio and Television. Ambition is only to serve the community – and perhaps interest some young people in community journalism who would perhaps one day take over the mantle! I’ve taken a particular interest in Ukraine since I visited your country with Hibernian FC in a UEFA game several years ago at Dnipro. Indeed Hibernian have maintained close links with Dnipro and in particular an orphanage in the city. It worries me that the ugly side of the former Soviet Union appears to be rearing its head again, it saddens me that large nations bullying smaller nations is a situation that still exists in what is supposed to be a more enlightened world. Totally unbiased and transparent local media is vital even in ‘free’ countries such as the UK, where there are always people who put greed before truth then the voice of community journalism simply must have the freedom to allow people to have their unhindered voice. It would not be for me to dictate what people in Ukraine should do – other than to say that it is, in my experience, only through the actions of ordinary people that real change is ever achieved. Moray is a beautiful part of Scotland with some stunning scenery – as such we attract many amateur photographers from around the country. 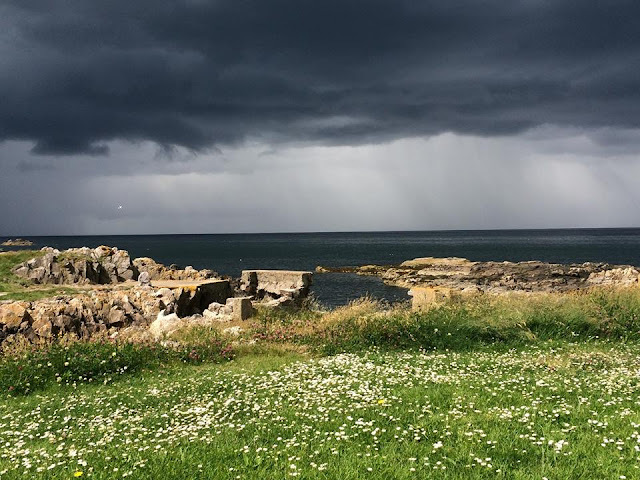 To reflect this, insideMoray invited submissions of local views and we post one up each day on our Facebook page. This led to the suggestion last year that we create a Christmas Calendar. This was a large undertaking, but local businesses promised funding and delivered – so we produced the calendar and sold it. It managed to raise over £1000 which went to several local charity groups. Long terms I would love to do this and a great deal more, reporting freely in the community is one thing but if it is possible to use the site to raise funds for community projects all the better! "The aim is for insideMoray to be absolutely independent of any political influences"
That's classic coming from a member of the left wing Scottish Nationalist Party (SNP). Not only a member but a former SNP candidate for the local election. Someone that if you dare to question his misleading use of data, in favour of his SNP views, on the InsideMoray Facebook page you get your posts deleted! "absolutely independent of any political influences" - I think not!